Los Angeles Angels outfielder Mike Trout was named the American League’s Most Valuable Player for the second time in his career Thursday after getting 19 of 30 first-place votes from members of the Baseball Writers’ Association of America. Trout also won the award in 2014, and finished second in 2012, 2013 and 2015. That makes him the first player to finish in the top two in MVP voting in each of his first five full seasons in the major leagues. Barry Bonds is the only other player in baseball history to finish in the top two in MVP voting in five consecutive years. In 159 games this season, Trout batted .315 with 29 HR, 100 RBI, 30 SB, 116 walks, 123 runs scored, and a .441 on-base percentage — all for a team that finished 74-88, the fourth-worst record in the American League. 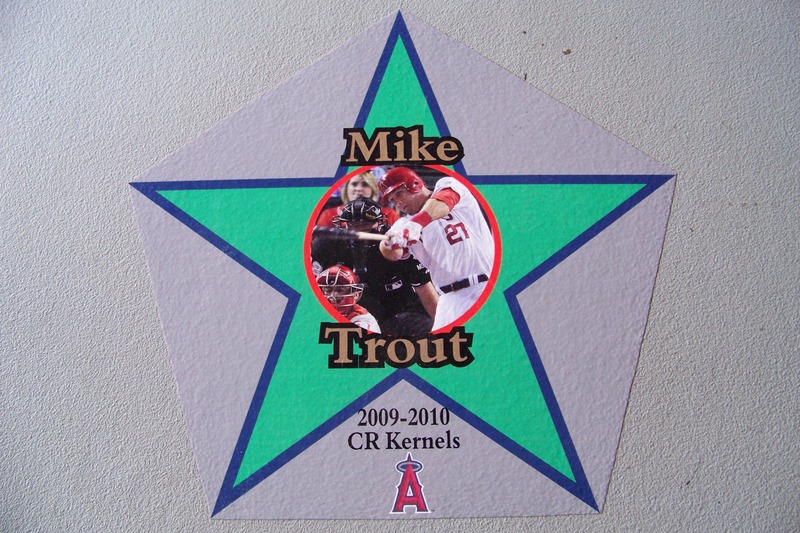 Trout was the Midwest League’s MVP and Prospect of the Year in 2010 when he batted .362 with 6 HR, 39 RBI, 45 SB and 76 runs scored in 81 games with the Cedar Rapids Kernels before earning a promotion in early July. He also played five games with the Kernels in 2009.